Another priest from the Altoona-Johnstown Catholic Diocese is in hot water for allegedly sexually assaulting a minor. No charges have been filed, but Father Martin Cingle has been suspended from the ministry while the Diocese investigates this most recent allegation. The allegation is of sexual misconduct involving minors -- and it dates back to 2002. The Diocese tells us that Martin has served at about a dozen parishes throughout the diocese -- and currently is the pastor at All Saints parish in Boswell and Saint Anne parish in Davidsville, both in Somerset County. 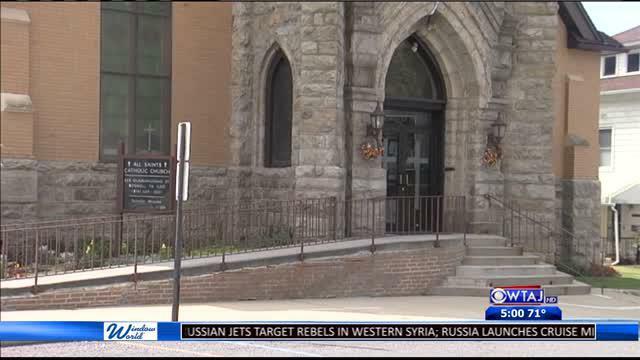 A letter was read to the parishes this past weekend informing them of this development, but the Diocese says Church business will continue while Martin is suspended. Tony DeGol, who is the Secretary of Communications at the Diocese of Altoona-Johnstown, said, "Bishop Mark is planning at some point to schedule a time where he can go to the parishes and celebrate mass and speak with the people. In the meantime he is assuring them that the sacramental life of those parishes will continue." DeGol couldn't provide any information on why they are investigating these claims 13 years after they allegedly happened. He did say the Bishop will name a temporary administrator to oversee the parishes soon.